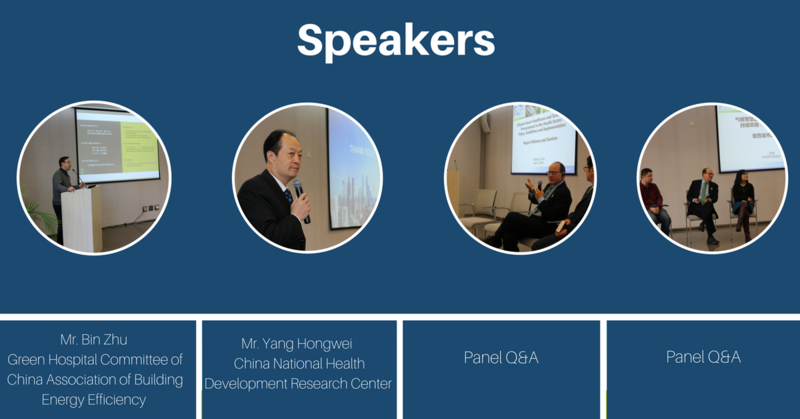 BEIJING, China-February 6, 2018- The China Academy of Building Research and partners hosted a seminar launching the Chinese language version of The World Bank Group’s 2017 report Climate-Smart Healthcare: Low Carbon and Resilience Strategies for the Health Sector, jointly produced with Health Care Without Harm. The report proposes a new concept of “climate-smart” health care, introducing strategies that tackle the effects of climate change on the health care sector and reduce its own carbon footprint. The report is critical to the future of health care, as climate change significantly damages public health and the negative consequences of climate change are only projected to increase in the future. At the same time, health care contributes to global climate change through its energy consumption, operations, and carbon-intensive procurement policies. By addressing these challenges, hospitals and health systems can mitigate the effects of climate change, while growing more resilient. Mr. Xu Jiefeng, CEO General Manager of the China Academy of Building Research, opened the event noting that the report and seminar is particularly relevant to China’s commitments to green development across sectors. He discussed China’s pledge to carbon emissions reduction by 2030 at the 2015 United Nations Climate Change Conference in Paris, and the country’s parallel Healthy China 2030 plan. Mr. Xu Jiefeng expressed that promoting the construction of “green hospitals” is necessary to continuing the trend of sustainable development and is also a key factor in realizing China’s climate and health commitments. 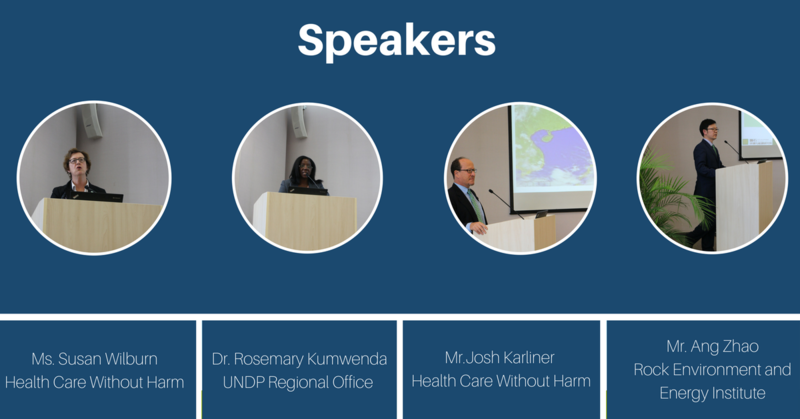 World Bank Global Health and Environmental Specialist, Timothy Bouley, and HCWH International Director, Josh Karliner, introduced the report’s background and contents, as well as the progress and practices of countries already building climate-smart health care systems. “The Bank has already begun to integrate the climate-smart healthcare framework into its project planning and operations in various countries to take advantage of what is an ‘enormous opportunity for both our own portfolios and operating health systems,’” stated Mr. Bouley. Zhao Ang, Director of the Rock Environment and Energy Institute, suggested steps that can be taken to achieve green health care in China. 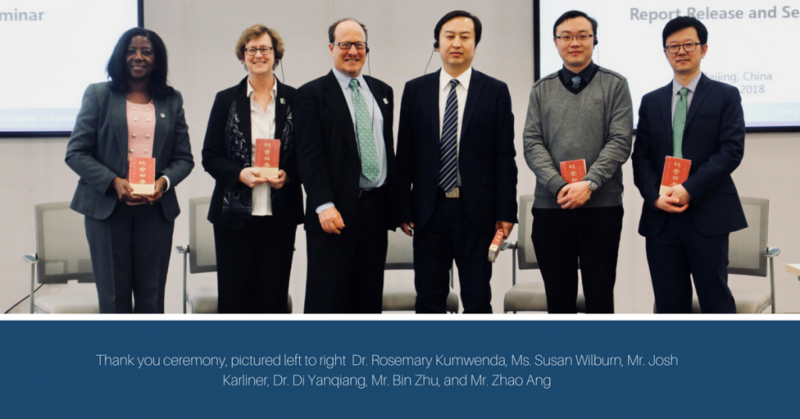 “In response to global action to address climate change, China’s environmental policy and regulatory goals have gradually shifted from controlling pollutant emissions to also improving public health standards. China’s health care sector must play a leading role in this process and take action to promote change. For example, purchasing low-carbon and environmentally friendly products, and increasing spending on renewable energy,” stated Mr. Zhao. 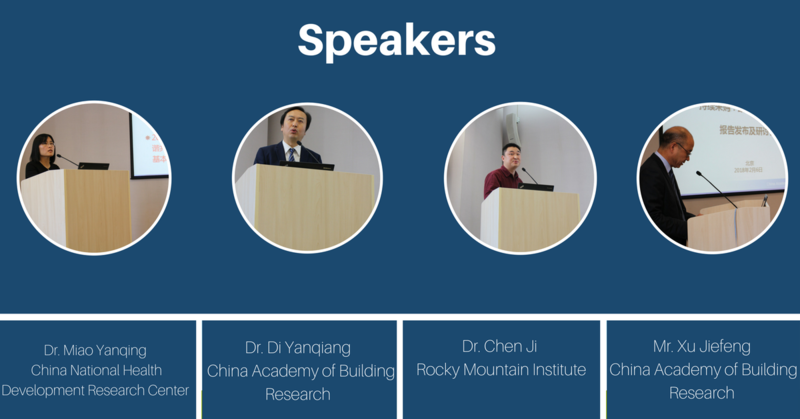 Speakers from the United Nations Development Programme, China Academy of Building Research, Green Hospital Committee of China Association of Building Energy Efficiency, and Rocky Mountain Institute analyzed and discussed their projects ranging from sustainable procurement practices of international agencies and the low-carbon and energy efficiency of hospital buildings in China, to the integration of climate-smart healthcare in China’s urban low carbon development initiative known as the Alliance of Pioneer Peaking Cities. With healthcare institutions worldwide facing the health challenges posed by climate change, Climate-Smart Healthcare has set a new framework for health development. The two pillars of “climate-smart” health care, low-carbon and resilience, work hand in hand to combat the environmental impact of the health care sector through lowering energy consumption, and addressing the industry’s carbon footprint and procurement, while simultaneously strengthening the industry’s resilience to the various health impacts of climate change.